Hassan Whiteside finally arrived as an NBA player last season, averaging a double-double during his time on the court, and cementing himself as the future of the Heat. 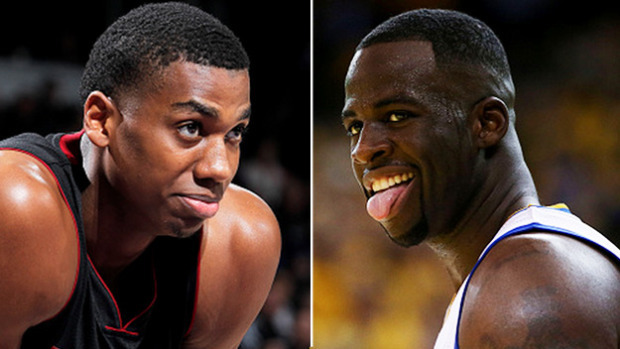 Whiteside promised the Heat he’d mature, but I’m not sure this was the plan after he got into a Twitter spat with Golden State Warriors forward Draymond Green. 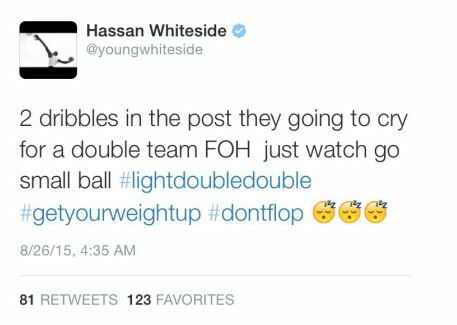 It began when Whiteside tweeted how small ball only works against offensively-limited centers. Green, the epitome of small ball working at the highest level, took offense and questioned if Whiteside was that guy. Someone would then note that Whiteside averaged more points per game to Green. Green replied in a deleted tweet, "1.48games 2. I'm not a scorer clown." 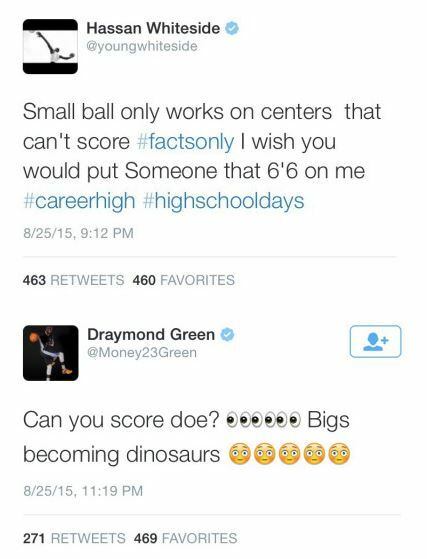 Green replied, in another deleted tweet, with, "82 million reasons to flop and the d league ain't never been 1!!!! But keep wearing shirts chasing that 2k rating #thefinerthings." The Heat vs Warriors game should be electric this season.